This is my idea of a perfect Sunday! 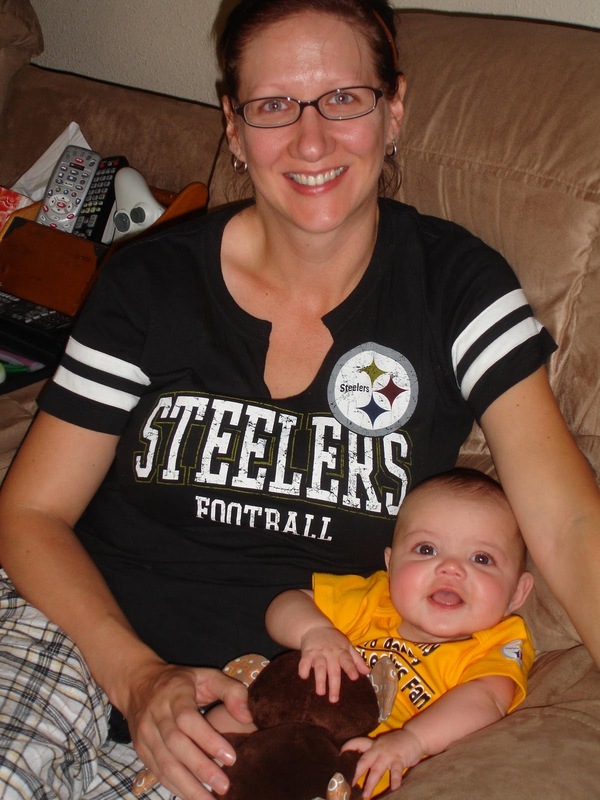 Well, to be honest it would be perfect had the Steelers won, but I will take a happy, football watching baby. BTW – Power was back on Saturday night! The guy from the city came out and turned it back on after the re-wiring was done. So we are happy at home watching football all day! What's with the O line????? What's wrong with the O Line, with Ben, and with our non existent D? Lot's of issues!